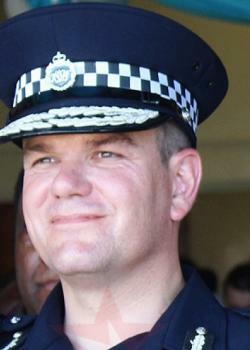 The Solomon Islands Government has defended the appointment of Australian Matthew Varley as the country’s police commissioner. This came after veteran journalist Alfred Sasako published an article in the Island Sun newspaper that claimed the appointment was made under duress. But in a statement issued Tuesday, the government said Varley was appointed because the government has confidence in his capacity to lead the RSIPF. “Varley is a very senior and experienced police officer with impeccable integrity and leadership skills,” the statement said. “The Government continues to have complete trust and confidence in him and his leadership of the RSIPF,” it added. “He has successfully led the RSIPF through a period of major transition. The statement said under Varley’s leadership, the RSIPF is continuing to develop into a capable and responsive police force that is delivering high standards of policing and crime prevention to the people of Solomon Islands. “Commissioner Varley has the full support of the Government in his management of code of conduct and disciplinary issues aimed at strengthening the integrity and professionalism of the RSIPF. “The Australian Government supported the appointment of the Commissioner due to his exemplary record of service and experience with the Australian Federal Police. “The claim that the Australian Government ‘threatened’ to cut aid over his appointment is a fabrication. “Australia is a proven friend and partner of Solomon Islands. “Australia’s leadership of RAMSI over 14 years is a demonstration of its commitment to ‘helpem fren’. “RAMSI helped to bring stability, peace and a growing economy back to Solomon Islands. “Australia’s deep and longstanding relationship with Solomon Islands continues. “Australia is the largest provider of Official Development Assistance (ODA) to Solomon Islands, providing almost two thirds of overseas aid in 2016-17. “In 2017-18, total Australian ODA to Solomon Islands will be an estimated $142.2 million (US$108 million). “Following the conclusion of RAMSI on 30 June 2017, Australia continues to maintain a substantial investment in Solomon Islands, including development support for justice and governance; police and law enforcement; health and education; economic growth and infrastructure.”.